In today's fast-paced world, it's tough to find the time to read. But with Joosr guides, you can get the key insights from bestselling non-fiction titles in less than 20 minutes. Whether you want to gain knowledge on the go or find the books you'll love, Joosr's brief and accessible eBook summaries fit into your life. Find out more at joosr.com. You don't have to wait until you retire to get the relaxing, worry-free life you want. All it takes is a change in lifestyle, and you can be living your retirement dream now! Are you making good money, but still don't feel happy? Always thinking about how to save for your retirement, seeing it as the day you'll finally be able to enjoy life? You may be what Timothy Ferris calls a "Deferrer," or someone who postpones their dreams until it's too late. It's hard to find happiness in life with this mindset, but all it takes to break it is a change in how you address your work. Let Ferris show you how to stop deferring your dreams, join the New Rich, and enjoy the freedom and income you want right now! You will learn: · What the DEAL formula is and how following it makes your work much easier · How to convince your boss to let you work from home (or anywhere you want!) · Why unrealistic goals are actually easier to reach than realistic ones. 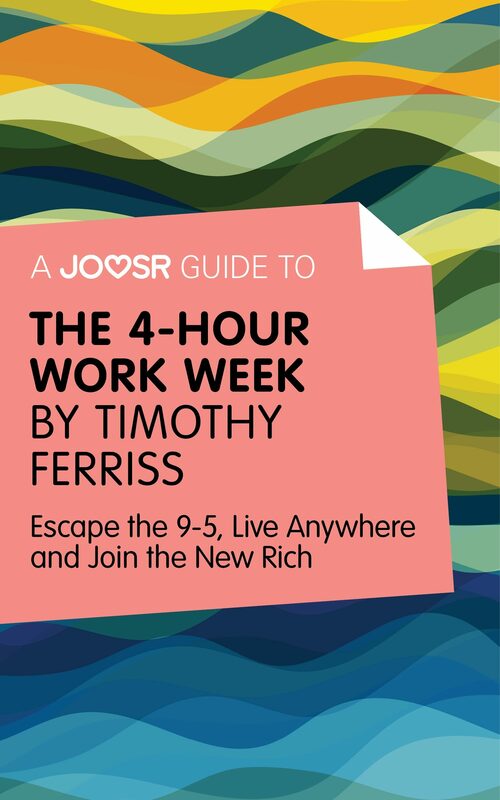 Otros ebooks de TIMOTHY FERRISS.